Whether this is anything more than a publicity stunt remains to be seen. Biomass burning will still be producing more CO2 at the point of use per unit of energy than the coal it replaced. 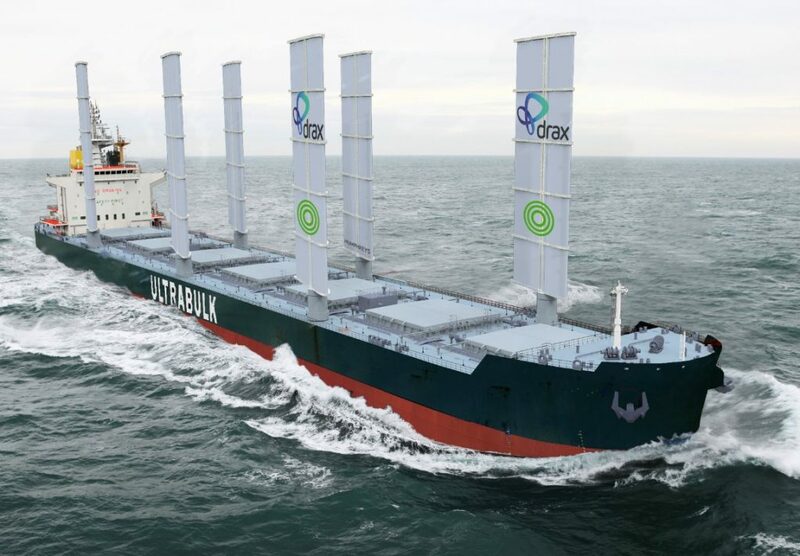 Drax, operator of the UK’s largest power station, is partnering with the Smart Green Shipping Alliance (SSGA), leading dry bulk cargo transporter Ultrabulk, and Humphreys Yacht Design to tackle the mounting issue of CO2 emissions from the shipping industry, reports GreenCarCongress. A £100,000-, 12-month feasibility study funded by InnovateUK, the Institution of Mechanical Engineers (IMechE) and private investors has begun, which will examine the potential of fitting the innovative sail technology Fastrig onto Ultrabulk ships importing biomass into the UK for cutting both carbon emissions and costs. The shipping industry emits roughly 3% of global CO2 and other greenhouse gas emissions (CO2-equivalent), or approximately 1 billion tonnes of CO2 and other GHGs per year—more than twice as much as the UK’s total emissions, from all sources. Drax Power Station in North Yorkshire has transformed its business having converted two thirds of the power station to use biomass instead of coal; it is now Europe’s biggest decarbonization project. Last year, it imported 6.8 million tonnes of the compressed wood pellets in 221 deliveries to the ports of Immingham, Hull, Tyne and Liverpool, to enable it to generate 14% of the UK’s renewable electricity. Using biomass at Drax has delivered carbon savings of more than 80% compared to coal—this includes supply chain emissions—but shipping remains one of the most carbon intensive parts of the biomass supply chain. And why should anyone be worried by this? Current atmospheric CO2 levels are yet to shown as a danger to anything. Unless there’s a net saving due to lower diesel usage, it’s just for show. Compressed wood pellets are the same type of complex carbon compounds as coal — they are not simple compounds like methane. someone is cheating in the CO2 calculations — probably by not actually considering the CO2 that goes up the stack into the atmosphere. I suspect that they are subtracting from actual CO2 emissions the idea that the trees being ideally planted somewhere to replace the trees clear cut to produce the wood pellets are taking up some of the CO2. This is simple nonsense. Bo one would think of subtracting from coal emissions some ideal amount of biomass that is sinking in some swamp that in a milllion years will become coal…. Typical Green B@llsh!t article, especially this part. The “carbon savings”, I think they actually mean Carbon Dioxide savings, are only in their heads and in no way in the real world. “Using biomass at Drax has delivered carbon savings of more than 80% compared to coal—this includes supply chain emissions” Rubbish, their CO2 emissions went UP 32-33% including supply chain emissions. 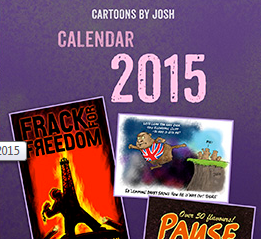 If Drax realy wanted to cut CO2 emissions they should go back to burning the coal under their power plant. They would have to rehabilitate the mine and stop receiving subsidies for destroying forests. ps the comments on that article are instructive. This idea will sink just like all the proposals for attaching sails and kites to power cargo ships have in the past for the simple reason of reliable delivery. In the beginning of 2011 there was a 100m long prototype proposed by B9 shipping which has yet to actually set sail. It is good PR for Drax to help stave off the criticism they have received for burning trees and getting subsidies for it when they could have used the money to convert to HELE coal rather than biomass – it would have set the plant up for the future with reduced CO2 emissions which it is not doing at the moment when all factors are considered. All we need now is scurvy, rickets and the plague. I remember seeing a photo of a container sail/fuel ship a while ago. I wonder if this is it. It’s a complete lie. Burning wood chips produces more CO2 per unit of electricity than burning coal. The chips from one tree which may have been growing for 30 years, burn up in the furnace in seconds. It will take 30 years for a replacement tree to absorb the CO2 produced in a few seconds. Wood chips are considerably more expensive than coal, and Drax gets huge subsidies to use them (£385 million in 2015) instead of unsubsidised coal. Ancient forests in America are being destroyed to supply wood to Drax and other European wood burning power stations. It’s not clear whether replacement trees are even being planted. Derek C – re. subsidies, it’s double that now. Biomass is an industrial-scale con, charged on taxpayers through their power bills. Sticking sails on bulk carriers is a pathetic attempt at a figleaf to cover this IMO. It might fool the wide-eyed greenies though. Evaluating Fastrig on ships is research. Evaluating Fastrig on Ultrabulk ships importing biomass into the UK for cutting both carbon emissions and costs is show. today’s goods transportation system is interdependent on a world scale and interlocked intermodally. In turn this means everyone has to be at their required place at the required time plus or minus a very small allowance otherwise the entire chain backs up and snarls.